AirSatOne has announced it has certified RingCentral’s communication application for use in business jets equipped with a Satcom system and using AirSatOne’s free FlightStream SA enhanced service. Jo Kremsreiter, President of AirSatOne endorses RingCentral because their “world-wide coverage ensures aircraft passengers will have connection anywhere they go, on the aircraft or off” as it “works when in a hotel, coffee shop, at the office or at home, and is particularly useful when cell coverage is weak or non-existent.” RingCentral operates on a powerful cloud VoIP PBX system specifically designed for highly mobile users allowing seamless movement between cellular and Wi-Fi service with their own personal devices. When flying, the system automatically transfers to the aircraft’s Satcom-based Wi-Fi service upon recognition of cellular network loss. Communication, including in-progress calls, is sustained as the aircraft takes flight. AirSatOne certified the RingCentral app using their FlightStream SA service. According to Kremsreiter, “FlightStream SA frees up bandwidth by blocking advertisements and provides text and image compression. This ensures that the end-user gets the best results while using RingCentral for VoIP phone calls.” FlightStream SA used in tandem with RingCentral, permits connection and collaboration via voice, fax, text, global conferencing, and online meetings. Voicemail messages are received and sent, plus notifications of voice and fax activity arrives straight from the office, to the user’s personal device. The system offers compatibility with iOS or Android smart phones and tablets, as well as PCs. Calls may be moved manually between cell and Wi-Fi, and forwarded from home, office, or alternate devices. Contacts from mobile devices and desktops are synced on command via RingCentral and integrates with Microsoft Outlook and CRM services such as SalesForce, Zendesk Oracle® Sales Cloud, and Zoho. Kremsreiter said “We chose to certify RingCentral because of its wide market deployment and advanced functionality and they have won many awards for being a technology leader”. 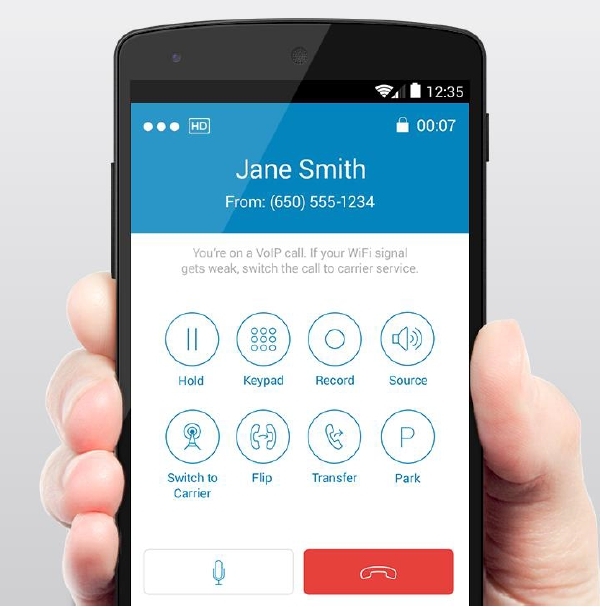 RingCentral offers a free 30-day trial and plan subscriptions start at $24.99 per month, a fraction of what other aviation communication solutions typically cost. Getting started with RingCentral and FlightStream SA requires minimal effort – a Satcom and Wi-Fi equipped aircraft, downloading RingCentral to the device or PC, and airtime from AirSatOne combined with use of their free FlightStream SA service. Due to cloud-backed technology RingCentral and FlightStream SA do not require aircraft hardware or software installation.